If you have the money to spend and love a real espresso in the mornings (or any time during the day really), the Rancilio Espresso Maker should be on your list of new appliances to add to your kitchen bench. At just under $700, this espresso machine looks good, works well and is well suited for everyday use. One of the best things about this machine is that you will be buying a commercial grade machine that is the perfect size for your kitchen – commercial designed and grade portafilters, group heads and steam wands help to make the perfect cup of espresso. It is also a good looking machine with a stainless steel finish and a classic linear design which fits most decors. 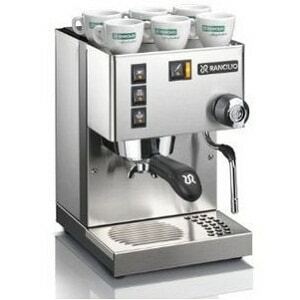 To have a look at the Rancilio Espresso Machine, click here. What Comes with the Rancilio? The only thing this coffee machine doesn’t come with is a coffee bean grinder. In the box you will find the machine, a coffee tamper, drain pan, water container and cover, portafilter (coffee basket) and 2 filter baskets (one for single shot size, the other for double shots). If you want a more professional touch, you can buy professional grade tampers for a decent price. Can I Use Espresso Pods? The Rancilio Espresso Maker should be on your list of new appliances to add to your kitchen bench. Being a full espresso machine you wouldn’t naturally think you could use espresso pods in the Rancilio, but, if you do prefer to have some pods on hand for those busy mornings, you’re in luck – the machine comes with an optional pod and capsule adaptor which can easily be attached to the machine while you are getting ready to head off for the day. Once you have this lovely little machine in your kitchen, with a bit of practise you will find yourself making café quality espressos and coffees at a fraction of the cost. Using good quality beans and learning some basic coffee making skills will help with producing a good quality coffee that isn’t sour or bitter and likely to be one of the best coffees you’ve had. You do need a good grinder with this machine; and therefore a good coffee grind can make the difference in the quality that hits your cup. There are many things that can affect the grind and the brewing of your coffee including temperature, freshness of the beans and the speed at which the beans are ground and the shot is poured. But if you are willing to experiment with the Rancilio to get the perfect grind and the perfect brew time, then you should have no issues with this machine. If you enjoy great coffee but have never been trained in the art of producing one, do take the time to look into coffee making courses – this will ensure you get the most from your machine and can produce coffee that will be better than that down the street in your local café. If you are after a good quality espresso machine that also has the option of using espresso pods, you can’t go past the Rancilio for a coffee that could beat any from your local café or for the convenience of the quick brew as you race out the door on the way to work! Hi! My name is Claire and I am lover of great coffee. Lingzhi Coffee – What Are The Ganoderma Coffee Benefits? 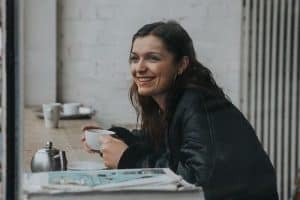 © 2019 Drink Coffee Tea | Your Guide To The Best Coffee And Tea Information And Reviews. drinkcoffeetea.com is a participant in the Amazon Services LLC Associates Program, an affiliate advertising program designed to provide a means for us to earn fees by linking to Amazon.com and affiliated sites.